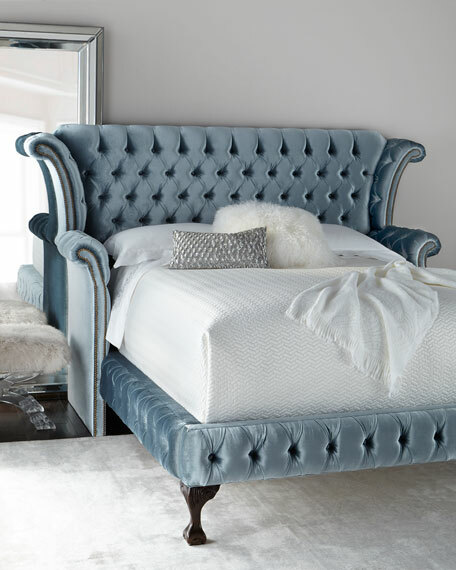 The inviting shelter-style headboard of this bed is embellished with the soft geometry of button-less tufting that wraps around front and sides. 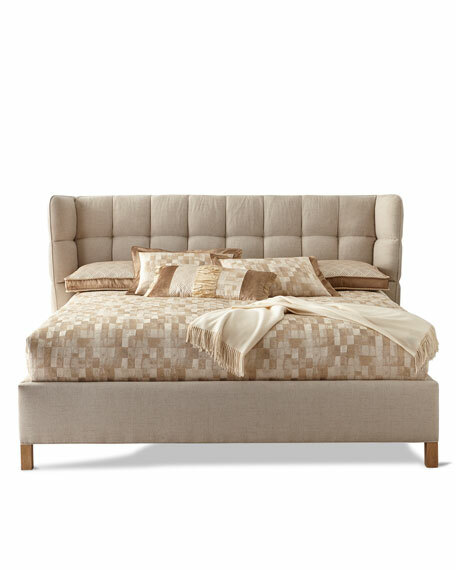 The side rails and footboard are neatly tailored in the same textured linen-look fabric with four exposed wood legs. 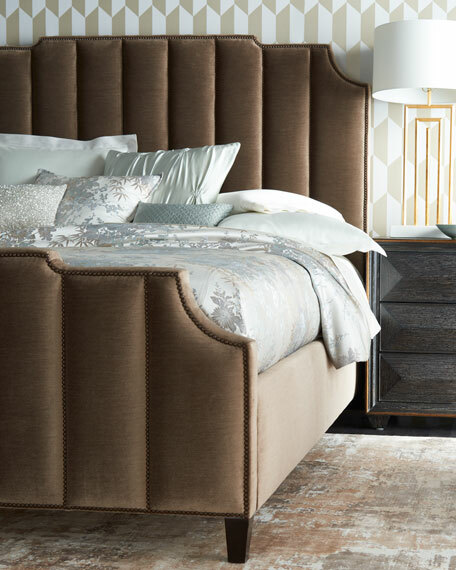 Handcrafted fully upholstered bed with wood trim on footboard and rails. 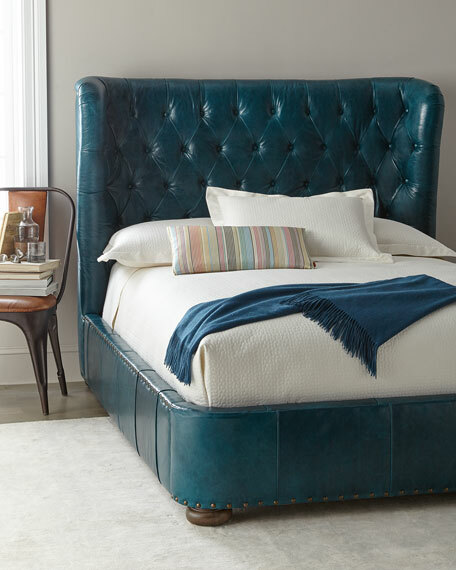 Shelter-style headboard features button-less pillow tufting. Overall, 79"W x 86"D x 51"T.
Hardwood frame; parawood solids and pecan veneers.